India vs Afghanistan: Can Rahane & Co match Rashid's fury in one-off test? "There were countless junior tournaments where we stayed in dormitories and slept on mattresses on the floor. There's been such a massive change to women's cricket since I started playing." The World Cup's league matches will be played in Guyana and St Lucia from November 9-18 with the two semifinals and the final in Antigua on November 22 and 24, respectively. This being the first ever standalone Women's World T20, Jhulan feels it will generate more publicity. 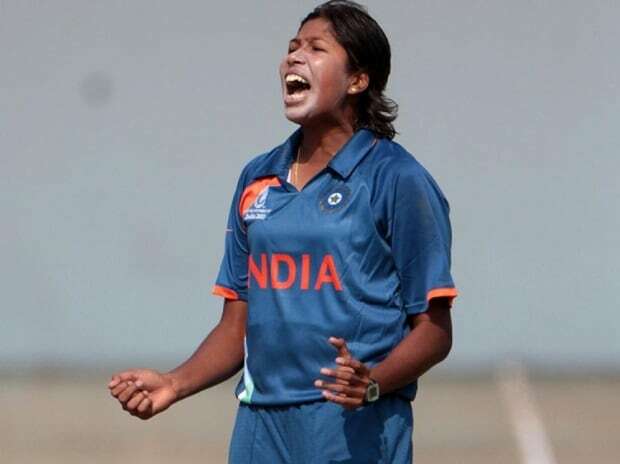 Jhulan once led the ICC Women's Player Rankings for ODI Bowlers, before announcing her retirement in August from the shortest format ranked 30th after making 68 appearances. On the previous world events being held simultaneously with the men's tournaments, she added, "Before the semifinals, people would not be aware about the women's games, as only the semifinals and the final were televised. So, we didn't get the publicity that we should have received." "But we could really see the difference in the 2009 World Cup in Australia, which was the first one organised by the ICC. All of a sudden, we had the best hotels, great grounds, a daily allowance. "Even for domestic tournaments, the BCCI's entry meant that flights replaced trains.